The 128th regular meeting was held on Saturday, 17 November. Below are the procedures. This programme has the following three objectives. To develop and propose new in-service training for the age of mass retirement so that experience of veterans can be passed onto younger generations. 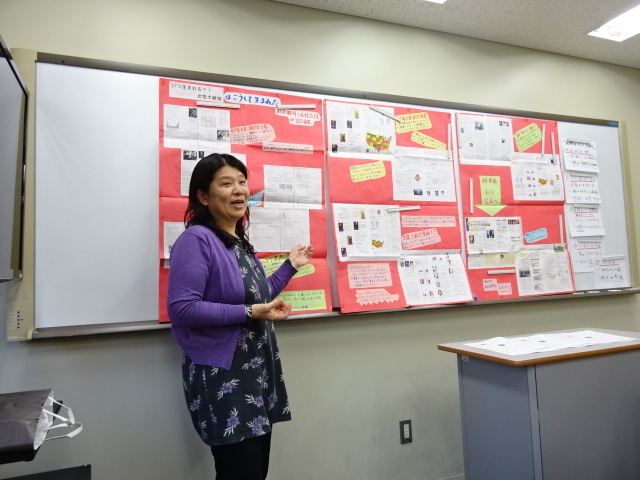 Basing on the experience of Ms Morozumi, all participants actively engaged themselves in interviews through presentations. As always, the meeting ended with fun and fulfilment. This entry was posted in Regular Meetings on 17/11/2018 by staff.